Orange is the new Black. When it comes to skincare, Vitamin C is one of the latest trends hitting the skincare market. We all know that it does wonders for your body and immune system when you’re sick, so it has to have the same qualities when applied to your skin, right? As you may already know, I strive for that luminous glow that comes from within and not makeup. I used to know a model who slathered her face with Vitamin C oil and she had the most amazing skin. It really works, and I think I might have found a product that does the trick. 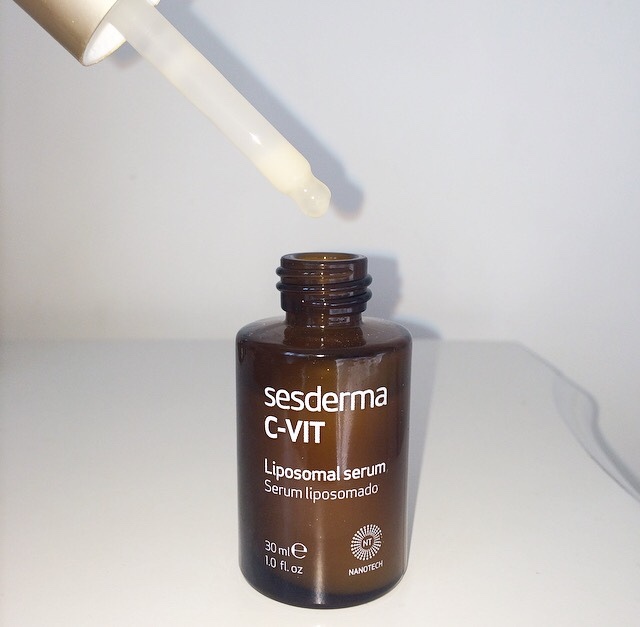 The new Sesderma C-Vit Liposomal Serum is made from a pure form of vitamin C (Ethyl Absorbic Acid) the most effective form of Vitamin C to be found in a beauty product, making it far more effective than a regular shop bought beauty product. Using nanotechnology and combining it with other multitasking ingredients, this anti-oxidant and anti-inflammatory serum reduces pigmentation, fine lines, wrinkles, repairs damage by UV rays, and stabalises collagen. Also, the lipid bubbles allow a deeper penetration and a gradual release of active ingredients to boost skins luminosity. I have been using this on my skin before my moisturiser every morning and it has really changed my skin. At first, I was weary of the brand because I do not know much about it, but I am glad that I have discovered it because its a fantastic product that actually works. The serum itself is super creamy, smells incredibly orangey, and feels great on the skin. It absorbs instantly and doesn’t leave a greasy residue so its really easy to apply makeup on top. I noticed the difference it has on my skin straight away. I was sunburnt after my holiday and my skin felt dry and dull. I have been using this for a couple of weeks now and it has made a huge difference.